It is well known that as much as we are all the same in some ways, we are also very different. There are no two people in the world with exactly the same face and body, even identical twins. I know several pairs of identical twins and once you get to know them you can tell them apart. So it should come as no surprise that we all have different ways of learning. There are highly intelligent people who have great difficulty in learning a new language. There are brilliant people who have to overcome huge obstacles just to play basic sports or learn a martial art. We are all different. Some can watch a video and mimic the technique exactly. Some can watch the video and fully grasp the technique and be able to apply it at once. Others need to hear the explanation while others need to feel the teachers' hand guiding their body in the correct direction. Me personally, tell me something and I will not get it, let me try it myself under your supervision, and I will totally understand. Therefore when people ask if they can fully master a martial art by video the answer depends more on them then on me, or any instructor. In this day and age we have the benefit of many new technologies that were unavailable in he past. In the past once the teacher was no longer with the students, arguments would develop. What did the teacher actually say? What did he mean? Today, at least in martial arts or Krav Maga training we can simply put a DVD in the computer and watch the instructor, even if he is thousands of miles away, or...passed on to another life. A good video/DVD will show the technique from several angles. My personal team of Baruch and Laizer will not allow me to be lazy. They insist on filming everything from several angels, including the foot work. They want to make sure that our long distance students can see what we are doing here in Israel. Regular weekly classes here in Israel. For locals or for visitors. Many of our students are foreign university students in Israel for a year or more, or Jewish yeshiva students here to study Torah. They find time in the evenings to come to our classes in Maaleh Adumim, just outside Jerusalem. Tour and Train - Twice each year we offer a special program, two weeks of intensive Krav Maga training combined with touring. 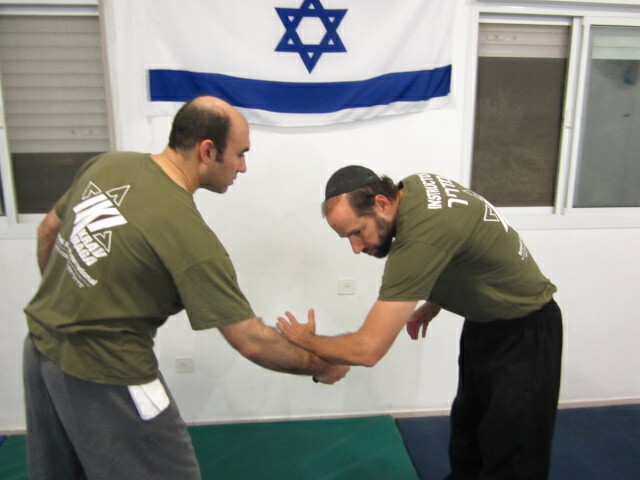 This combination gives you an in depth understanding of Krav Maga and the land that produced it. On Line Training - See below, receive daily updates on Krav Maga, directly to your e mail. This way you are never behind. Ask any question. Seminars - Moshe travels frequently all over the world. Invite Moshe for a seminar to teach you and your club. Private Training - Private lessons can be arranged any time during the year with our top instructors. Contact us, below, for more details. 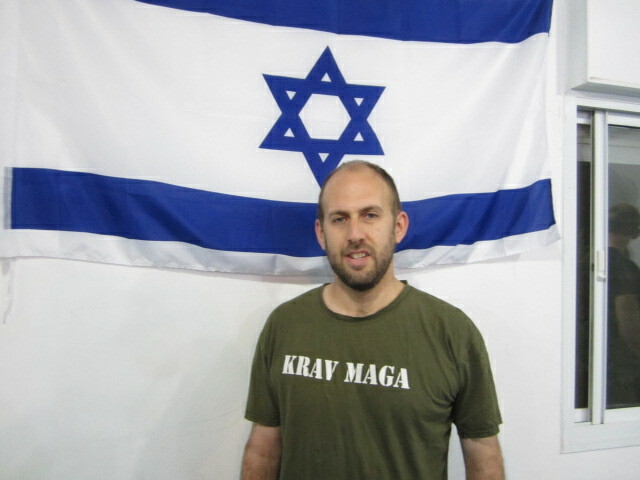 Now no matter where you are you can stay on top of the latest developments in Israeli Krav Maga, what happens here we send directly to your personal e mail. Request any technique, request a solution to any situation, ask any question and we will respond as fast as possible. On Line or in Person?